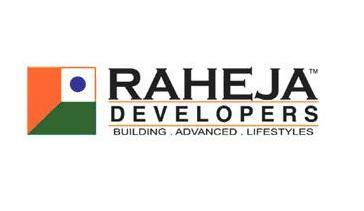 Raheja Developers Ltd has been regarded as one of the fastest developing real estate entities in the realty sector. The enterprise was established in the year 1990 by highly ambitious and visionary leaders and founders. Since then the company has been delivering the most commendable and most distinctive residential, commercial, hospitality and SEZ projects at prime locations like Gurgaon, Panipat and Dharuhera. The professionals working for the group have been chosen for their exceptional skill and determination that are also able to identify with international standards of architecture, construction practices and technicalities. Mr. Naveen Raheja founded the Raheja group more than two decades ago with a vision to create a difference in the lives of others and evolve the stereotypical real estate culture from being bound to business transactions to a relationship building process. He is the residing Chairman of the National Real Estate Development Council and has played a significant part in bringing up the Real Estate Regulatory Act and oferring affordable housing. The company has been widely acclaimed for its construction style and is credited for making luxury and comfort as its personal trademark. Its premium residential project Revanta is gaining apprecieation far and wide at Gurgaon. As a part of its corporate social responsibility, the Raheja Group has developed education centers for underprivileged children at various sites. These centers are equipped with healthcare units as well.